I am reliable, efficient, work well in a structured environment and a strong team player. 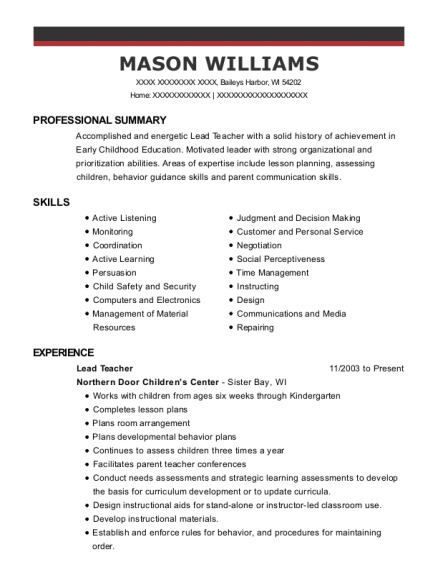 I have over ten years of experience -supervising, counseling, and managing at-risk probation and foster youth who struggle with behavioral, mental, emotional and/or personal challenges in level 12 correctional residential facility. Directly supervises and provides adolescent non-medical care to residents at all times in structured family home environment. Actively documents and reports residents progress; identifies and reports resident needs for professional services to appropriate staff. Ensures that residents adhere to daily schedule, are respectful of each other's rights, follows house rules and meets established expectations. Supervise over the residents, making sure the residents do their chores, teaching them to learn how to cook, transporting to and from schools, doctor's appointments, and other destinations, distribute medications, prepare meals and counsel the residents. Prepare the meals, supervise over the residents, making sure they do their chores, transport residents to and from their destinations, and outing, teaching them to take care of their responsibilities, distribute medications, and also counsel the residents. Enter all data into the computer. Update information for the Companies, addresses, and zip codes, make sure that all mail is in route to the correct destination. 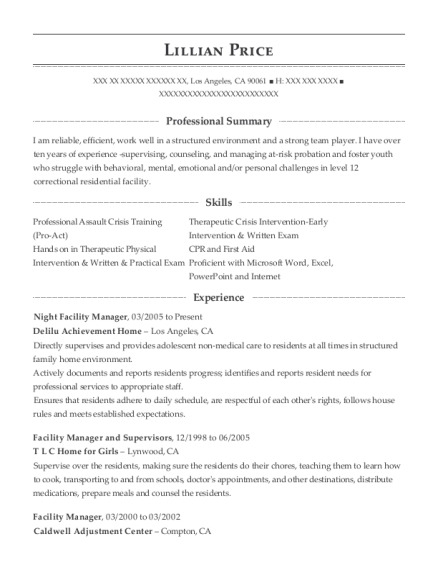 This is a resume for a Night Facility Manager in Los Angeles, California with experience working for such companies as Delilu Achievement Home and T L C Home for Girls. 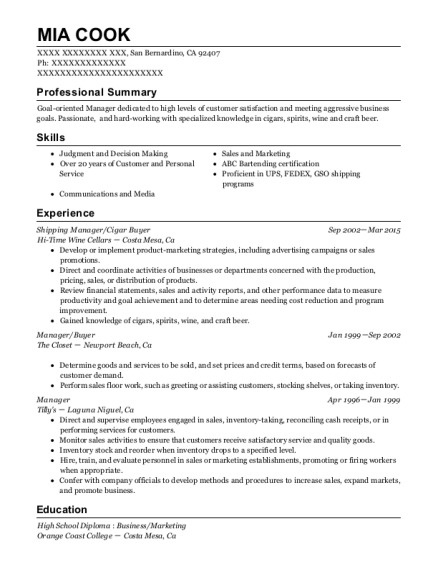 The grade for this resume is 0 and is one of hundreds of Night Facility Manager resumes available on our site for free. 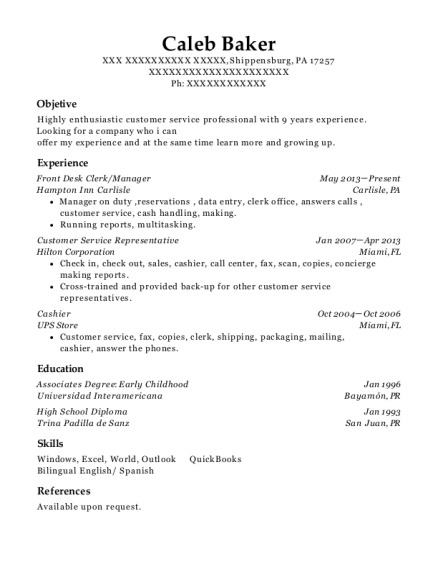 Use these resumes as templates to get help creating the best Night Facility Manager resume.